Charlotte and Andrew held their amazing wedding at Kedleston Country House Hotel in Derbyshire and I was delighted to be chosen as their wedding photographer. Whilst Kedleston Country House on it's own is a superb Derbyshire wedding venue, the large field to the back of the property was where this amazing wedding photo was taken. I had in my mind for some time the possibility of a sunset photo, but couldn't quite work out where the best place to take it would be. 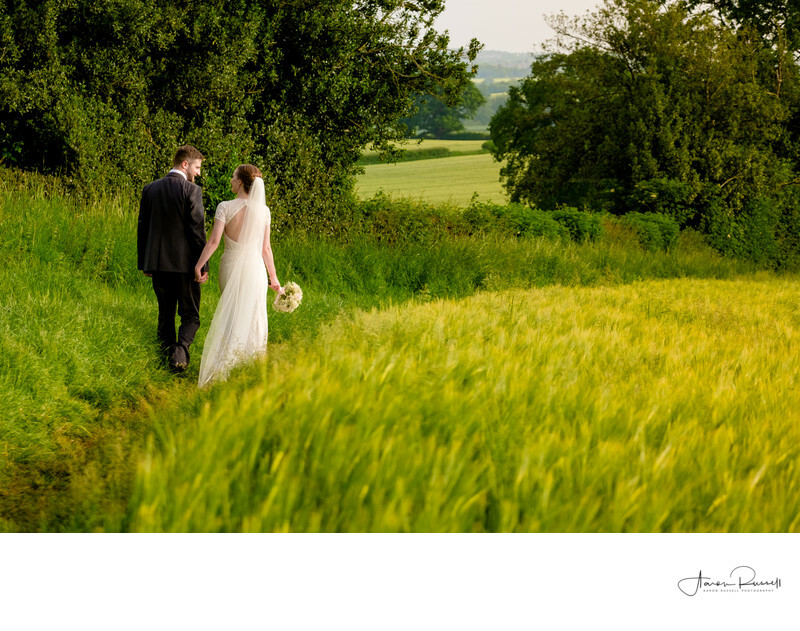 It wasn't until the wedding itself, where I saw how the light was falling on this long grass, that I knew I could really nail this photo. 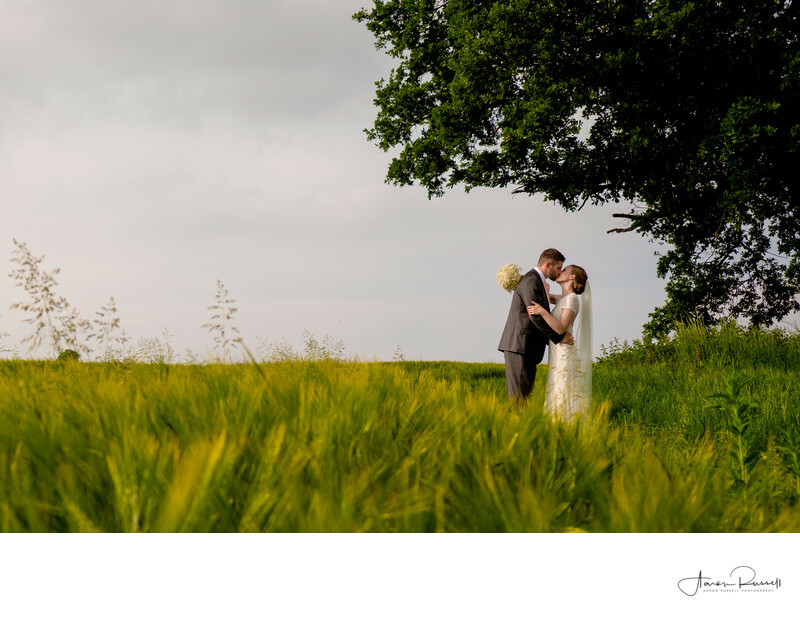 I walked the bride and groom the short distance from Kedleston Country House, through the luscious Derbyshire countryside until we came across this enormous oak tree at the top of the field. The light coming from the late evening sun was warm and delicate, and gave really the perfect light for this kind of intimate wedding photo. I crouched down in order to include as much foreground as I could - the last of the sun's rays were just hitting the tops of the grass seeds, seemingly igniting them with colour. I used the large tree that we had discovered to 'frame' the couple in the photo, which I think it does perfectly. I really enjoy this type of environmental portraiture when it comes to wedding photography and there's seemingly no better place to do it than in my home county! I asked the bride and groom to walk off before me as I had a few things to gather up, but also I think it's really a vital part of any wedding that the bride and groom are allowed a little time together. When you think that on average I'm with the bride for 4-5 hours before the wedding, I actually spend more time with the bride on her wedding day than she does with her husband, and when you factor how long the two of them are alone together for, the time is almost non existent. It's for this reason that I often allow my couples just to take a moment and discuss on their own, their experiences of the day so far. This also means that I can get some lovely candid shots, and you really can't beat a romantic walk in the countryside for this! As the bride and groom walked away from me I silently grabbed a few photos, with the setting sun casting this stunning light at such a low angle as to make all of the colours in the image really pop.